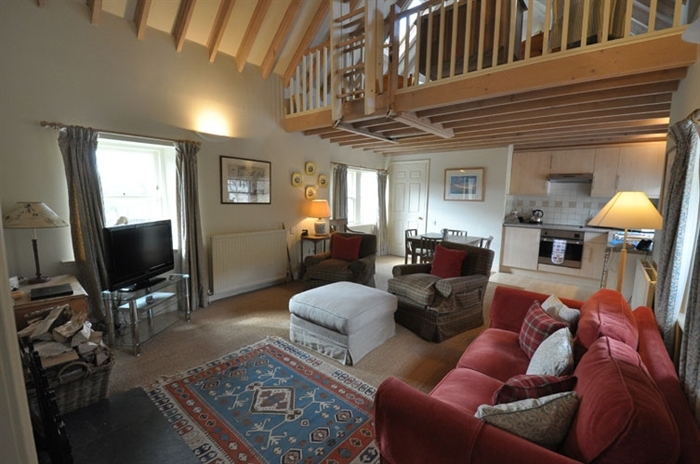 Stinchar Cottage (sleeps 2) is a recently refurbished cottage overlooking the river at the edge of the west coast seaside village of Ballantrae in South Ayrshire. Originally the toll cottage at Stinchar Bridge, the Stinchar Cottage dates from 1780 and sits on the banks of the River Stinchar. 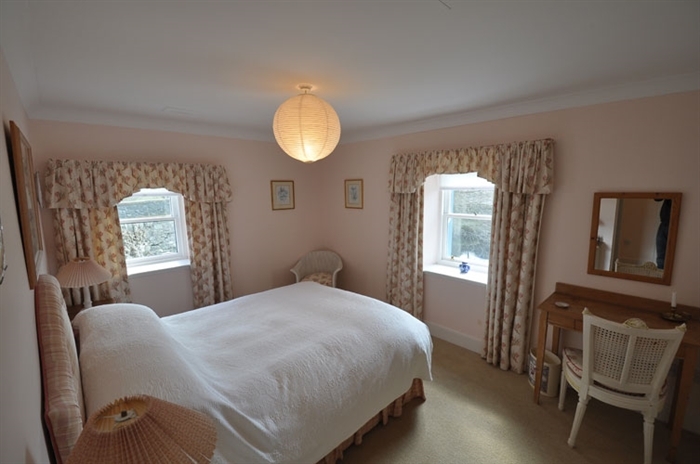 It has been carefully renovated and now provides charming holiday accommodation for up to four people. The cottage has been refitted and furnished to a high standard, and features a lovely pitched ceiling in the lounge and gallery bedroom and pretty garden which slopes down towards the river. The views are wonderful, looking across the river to the countryside and towards the sea. 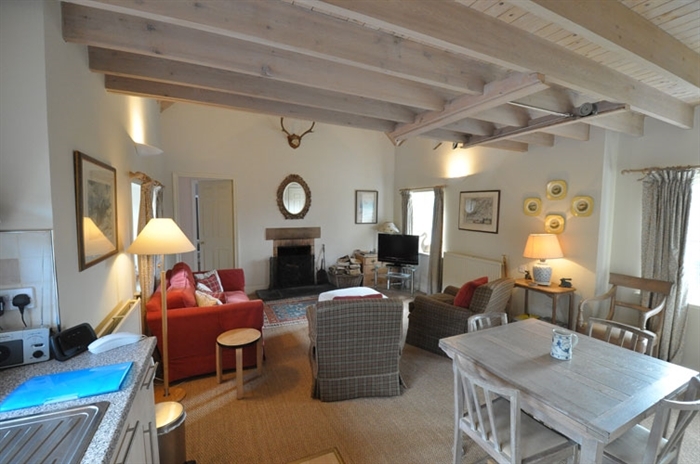 The main accommodation in the cottage is a spacious open-plan living room with dining area & kitchen and cosy log fire. There is double bedroom with en-suite shower room and an open-plan gallery twin bedroom is reached by ladder from the lounge and looks down on the sitting area - this is not suitable for children under 8 years or the elderly. 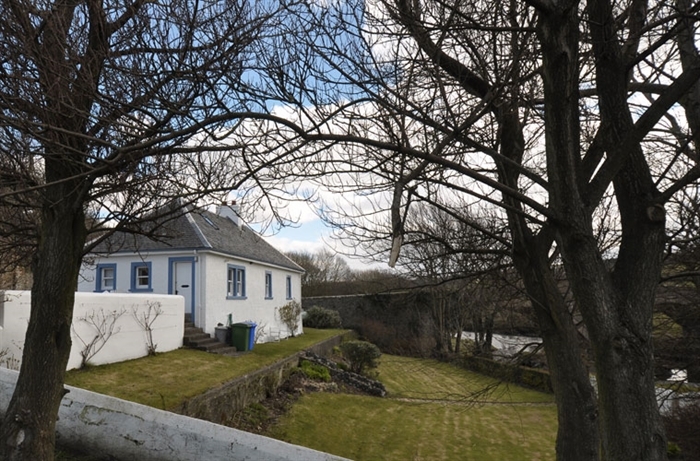 The cottage is situated on the edge of the village of Ballantrae, within quarter of a mile from the sea, backed by farm land and looking South over the River Stinchar to the surrounding South Ayrshire countryside and Galloway Hills beyond. With marked river, woodland, seaside and farm walks direct from the door, the properties are all situated just off the Ayrshire Coastal Path, www.ayrshirecoastalpath.org -Scotland’s long distance walking route along one of the finest panoramic coastlines in the British Isles. The coastline is crowned with a superb backdrop of the ever-changing profile of Ailsa Craig and the mountains of Arran across the Firth of Clyde. The area is steeped in history and teeming with wildlife, including red squirrels, roe deer, otters and seals and is a haven for bird watchers on the moors and estuary. Ground Floor: Large open-plan living room with dining area and kitchen. Double bedroom with king-sized bed and en-suite shower room. Utility room. Cloakroom. Gallery Floor: Twin bedroom accessed by ladder from the reception room - not suitable for children under 8 or the elderly. Utilities: TV, Freeview, DVD player, wifi, dishwasher, fridge, fan oven, microwave, gas hob, open log fire (logs provided), central heating, bed linen, towels. Extras: Well-behaved dogs are very welcome.